Because 2015 in real life hasn’t caught up to 2015 in Back to the Future, we don’t quite have dreamy auto-lacing Nike shoes. But! 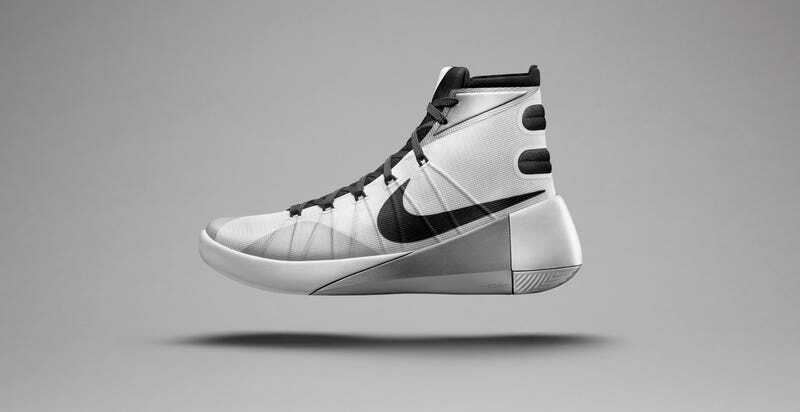 What we do have are these slick new Nike Hyperdunk 2015 that totally look ripped from the future and were actually inspired by the Nike MAG from BTTF 2. The silhouette of the shoe and the higher than normal collar length clearly homages everyone’s favorite movie shoe though the fact that we still have to use our hands to lace them, brings us back to reality that the future isn’t here yet. We still have half a year though!